Tonight’s culinary experiment involved baking fish in a tiny RV stove. I think I accomplished the challenge with little problems with this fantastic Orange Ginger Salmon. Over the past few weeks, I’ve been off my cooking routine simply because we’ve been trying to get moved from a larger house to a tiny RV. Full time Rv’ing has its advantages, but the stove/oven combo is NOT part of that list. We think we have a solution to the uneven baking temperature problem. I read on a cooking RV site that using UNGLAZED tiles in the bottom of the oven creates a more even baking environment in the oven. The tiles are sperad across the entire bottom and as they heat, they hold the temperature better. That is the theory, anyway. I’m learning to do a lot with a tiny space and some state-of-the-art organization skills so I ventured into new territory. Preheating my oven and making sure my unglazed tiles were in the oven both contributed to a flawless dish. 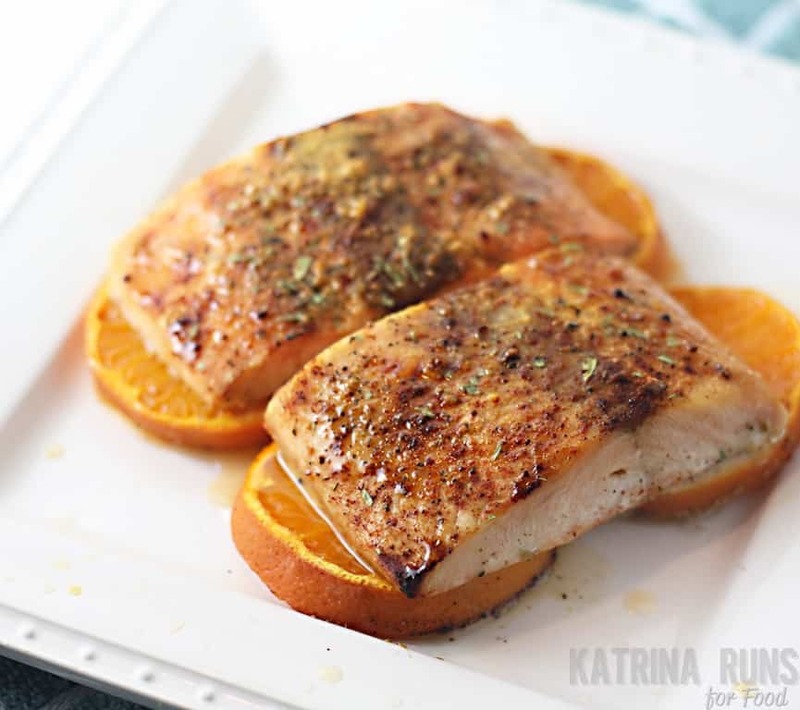 Using citrus and ginger, I created a salmon that wasn’t dry and was slightly caramelized from the sugars in the orange. 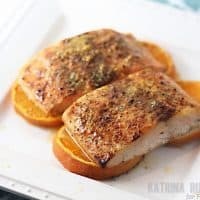 This simple but flavorful salmon meal meets all the compliance rules for Whole30, Paleo, and Keto. There isn’t enough orange juice to bring you out of ketosis and using juice as a marinade is okay on Whole30. If I were to make this again, I would try lemon and garlic or maybe a lime chipotle version. Whether you have a large oven or a tiny stove, pay attention to cooking times and the thickness of your fish. Using a food thermometer is a great idea, too. Combine orange juice, ginger, and parsley. Pour over salmon. I’m always looking for new salmon recipes to try. 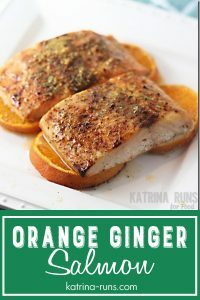 I made once an orange rosemary glazed version which was delicious and can’t wait to try your orange ginger recipe next!